Carl's Jr. debuts the new, limited-time Bacon Truffle Angus Burger and Bacon Truffle Fries at participating locations nationwide. 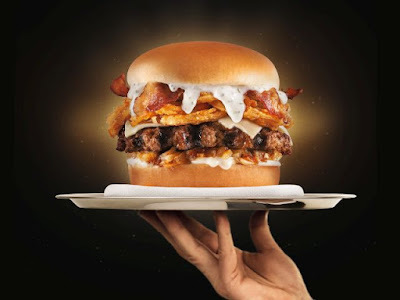 The Bacon Truffle Angus Burger features truffle-infused white cheddar sauce, a charbroiled Black Angus beef patty, two slice of applewood-smoked bacon, crispy onion strings, Swiss cheese, caramelized onions, and mayo on a toasted premium bun. The white cheddar truffle sauce (made with both natural and artificial truffle flavors) is described by the chain as offering "a deep, rich and savory flavor including notes of garlic, toasted onion and aged parmesan." 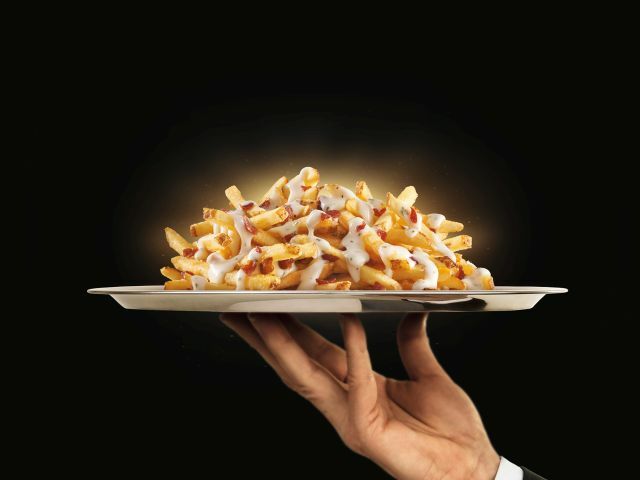 Bacon Truffle Cheese Fries consists of natural-cut French Fries topped with white cheddar truffle sauce and applewood-smoked bacon pieces. The suggested price for the Bacon Truffle Angus Burger starts at $5.99, while the suggested price for Bacon Truffle Fries start at $2.79. 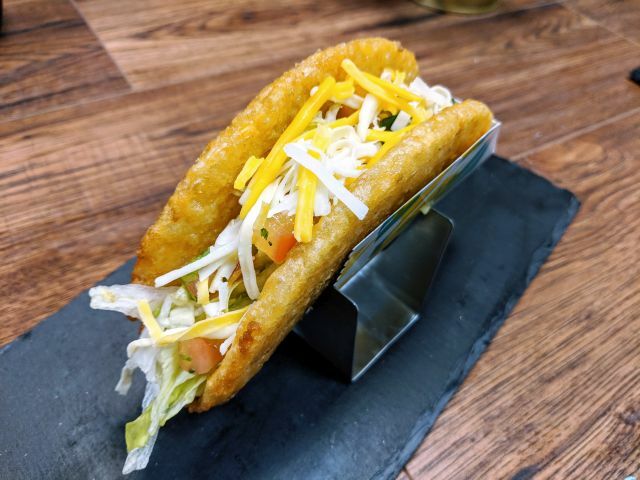 You can expect both menu item to stick around through mid-May 2019.